﻿﻿Keep you and your loved ones safe and secure. ​Install by ​March 1st and Get ​Two Bonus Upgrades! ​* Requires 3 year monitoring agreement with good credit and automatic ACH payments of $45.95/month. ​Many other ​offers and monitoring terms are available so call for details. 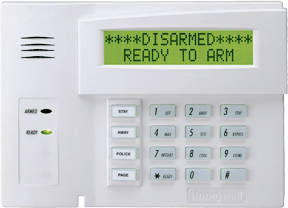 You can control your security system along with lights, locks, garage doors, and thermostats. You can get text or email alerts with system events or when one of your cameras detects motion and you can watch your live video. Your security monitoring system can take action or send reminders when it detects you've left the area and some can be controlled by Alexa and many other home automation systems. "I just got to the office and couldn't remember if I left the door open or not, so I checked my phone." 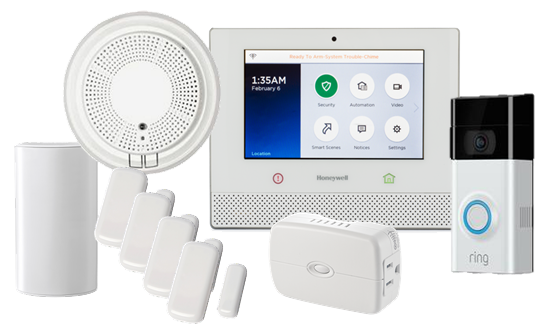 Honeywell's next-generation security and home controller puts your home at your fingertips-all from one vibrant 7" touchscreen. The LYRIC Controller is intuitive, and easy to use, whether you're controlling security, thermostats, cameras, light or locks with a tap on the touchscreen or the sound of your voice.